If you ever wonder how can artist do something good for a social cause. Well, take a look at some people who just did. Meet Rick Lee Gordon. His artwork has been showcased across the globe and has been featured in nationwide television, such as BBC and National Geographic. 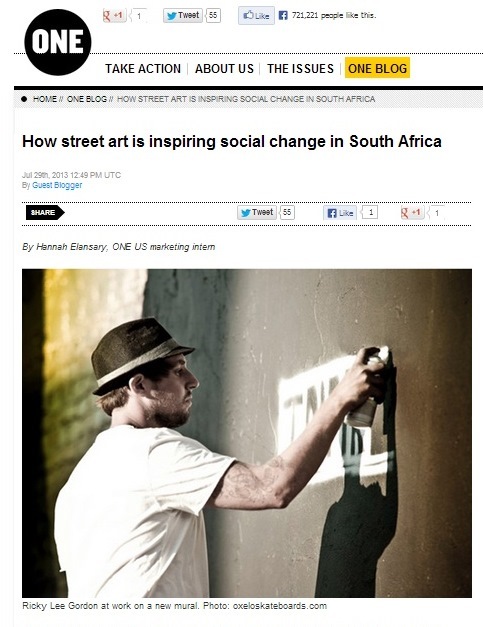 Read more about him and his work in an interview done by One.org here: [Link].